Nothing makes more of a dent in our day-to-day happiness than a bad boss. The saying goes ‘people don’t leave organisations, they leave Managers’. 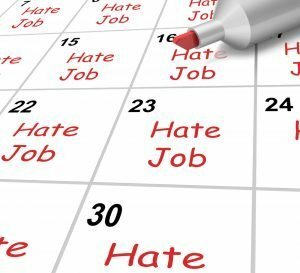 Working with people during career change, the number one reason most people give for leaving their job isn’t for more money or a promotion, but because they didn’t get on with their Manager. So when you are looking for a new role its important not just to research the organisation but to subtly research the Manager. Six tips to help you find the right boss for you. Try to find out during the interview the person who will be your immediate Manager, and if given the opportunity, ask how them to describe their managerial style during periods of pressure. Does this fit how you like to be managed? Do you prefer complete autonomy, a collaborative approach to problems or high levels of involvement and support? Your boss’s management style is critical. Quietly check out your immediate Manager’s LinkedIn profile. Are there recommendations from immediate staff? How do others describe him or her? Today everybody is exposed to transparency including management. What’s their management brand like? Social media often provides great clues to this. Explore on your LinkedIn and through your connections if you know someone who has worked with your potential boss previously and reach out to them and have a discreet chat. Ask during the interview about the culture and values of the team you are joining. This will often give great clues about the management style and influences. Work out your own preferences and values and listen during your conversations with your potential manager for clues that your new boss reflects these. If you know what makes you happy at work you are more likely to see if your new manager can offer this working environment. Finally above all else listen to your gut. Often you will know relatively quickly if you and your new boss will work well together. If the little voice inside you is screaming ‘no’ it pays to do a little more homework before signing an employment offer. Gillian Kelly is a multi-credentialed award-winning resume writer passionate about assisting others to move forward into the future with confidence. Read more of her career articles or find out more about how she can assist you with outplacement, career transition, resume development or career marketing by visiting Outplacement Australia.